The appearance of the first fine lines and wrinkles on your skin marks a rather unpleasant transition. The good news is that the process can be slowed or even reversed. By choosing the right natural face cream, you can slow down the hands of time and prevent the appearance of wrinkles altogether. Needless to say, the ingredients matter the most when it comes to the selection of natural anti-aging cosmetics. 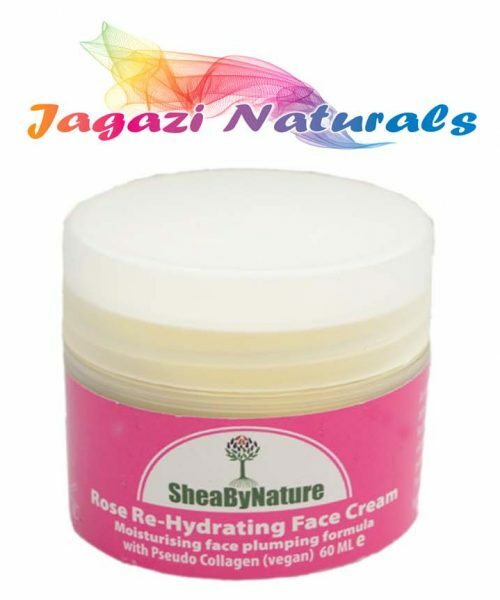 Rose Re-Hydration Face Cream with Shea Butter is a high quality, all natural product that brings together some of the most powerful anti-aging ingredients, hydration agents and antioxidants. Mostly suitable for people having dry skin, the anti-wrinkle cream relies on the spectacular moisturizing qualities of shea butter. The product gets absorbed by the skin rapidly, leaving it smooth and flawless. Main Ingredients: What do They do? The list of ingredients brings together various natural extracts that hydrate the skin and make it radiant. Proper moisturizing and a boost of collagen are particularly important for preventing the appearance of wrinkles or reducing the prominence of lines that are already on your face. 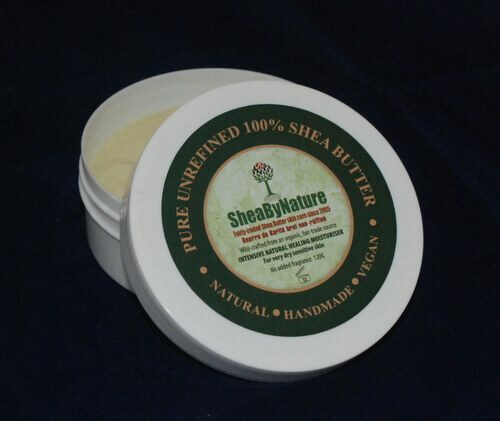 Shea butter is commonly included in the composition of anti-aging creams because of the spectacular hydrating qualities that it has. A shea butter cream for face reduces irritation, provides the skin with powerful antioxidants and has anti-inflammatory properties. All of these characteristics turn it into the perfect product for hydrating dry skin and keeping it looking beautiful. Cocoa butter is another powerful source of antioxidants that protect the skin on a cellular level by countering the action of harmful free radicals. The butter is also rich in nutrients that skin needs to be hydrated. It’s often used as an option for reducing the prominence of stretch marks, healing sensitive or irritated skin and producing deep hydration. Rose Re-Hydration Face Cream with Shea Butter contains rice bran oil, which is one of the most important Asian beauty secrets. Another natural antioxidant, rice bran oil can be an effective nourishing face cream anti-wrinkle ingredient. It’s rich in vitamin E and fatty acids, it improves the elasticity of the skin and boosts natural regeneration processes. Apricot kernel oil has become a quite popular beauty ingredient lately because it moisturizes and nourishes the skin. It’s ideal for balanced, mixed and oily skin. The oil is particularly suitable for people having oily skin because it gets absorbed quickly and doesn’t leave a film on the surface. Another deeply nourishing ingredient, avocado oil is perfect for dry skin and it’s often included in the composition of natural face creams. Because of its ability to lock moisture inside the skin, avocado oil is great for reducing the prominence of wrinkles by boosting elasticity. Wheat germ oil is rich in vitamins from the B group, A and D. As such, it’s ideal for topical application on the skin. It heals dry or cracked skin and it can also be used to prevent scarring. Different from carrot seed oil, carrot tissue oil is rich in beta-carotene. Beta-carotene is a powerful antioxidant that also offers photo-protective benefits to the skin. The unprotected exposure to sunlight is one of the main causes of premature skin aging. Thus, natural protection against UV rays is of paramount importance. Rose Re-Hydration Face Cream with Shea Butter contains another hydration superstar – rose hip seed oil. This is an ingredient that has exceptionally powerful regenerative qualities. It can even be used to correct the UV damage caused by unprotected exposure to sunlight. A quality anti-aging cream containing rose hip seed oil will also decrease the prominence of wrinkles, hydrate dry skin and soothe skin prone to eczema or psoriasis. Evening primrose oil improves the elasticity of the skin while providing deep hydration at the same time. In addition, it cures blemishes, reduces the prominence of acne and can be used to lighten dark circles caused by age or unprotected exposure to sunlight. This oil is aRosadamascena extract that contains a vast range of therapeutic compounds – citral (an anti-microbial substance), eugenol (a potent antioxidant) and nerol (an antibiotic compound that has a pleasant scent). These ingredients make it soothing, they give the oil anti-acne benefits and they also turn it in the perfect hydrating ingredient for anti-aging creams. Vitamin E is one of the skincare staples and a quality product like Rose Re-Hydration Face Cream with Shea Butter needs to contain this essential in its formula. It reduces the prominence of wrinkles, helps the skin lock moisture inside and neutralizes the cellular damage caused by free radicals. 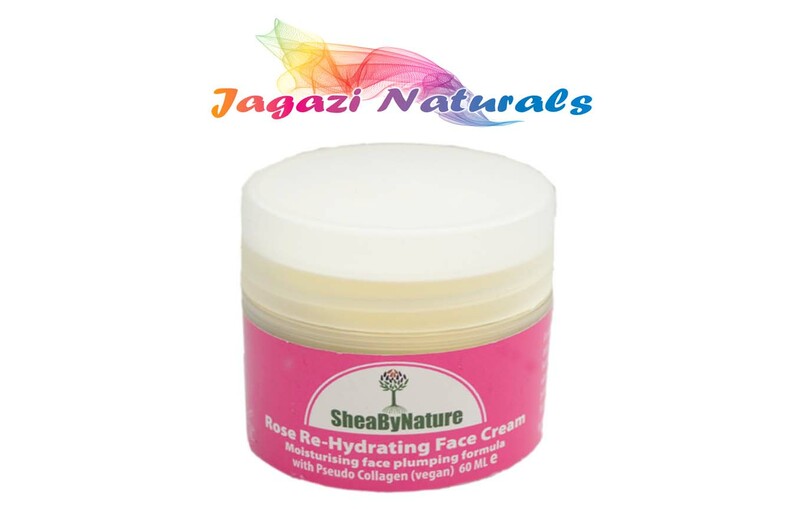 Rose Re-Hydration Face Cream with Shea Butter also contains vegan collagen, which skin needs to maintain its firmness and elasticity. The formula is further enriched through the addition of glycerin – a substance that has been used for decades and that hydrates, improves the appearance of skin and improves its water balance. Finally, emulsifying wax is used for the blending of essential oil and the other natural ingredients of Rose Re-Hydration Face Cream with Shea Butter. 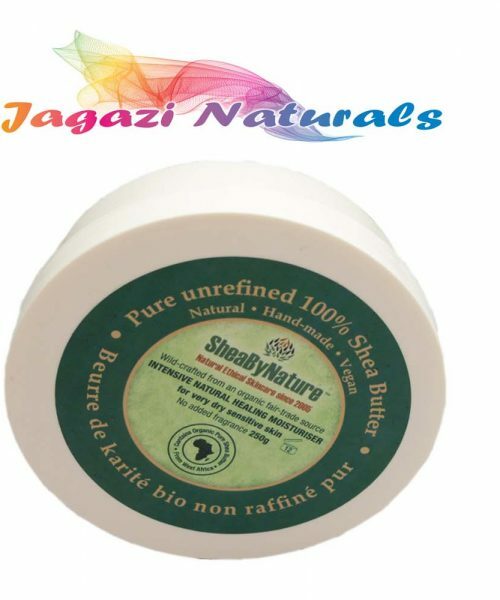 This natural face cream is free from SLS and parabens. It’s 100 percent vegan and cruelty-free – no testing on animals! If you’re a connoisseur who takes some time to choose a quality skincare product, this cream is the right one for you. It brings together some of nature’s most powerful anti-aging gifts, giving you smooth, youthful and imperfection-free complexion. I’ve got very dry, sensitive skin on my face and find it very difficult to find face creams that leave my face feeling “lubricated” without the need to keep reapplying several times a day. A lot of dry skin products are very greasy which I can’t bear. So far I’m getting on well with this cream. It moisturises well, smells nice and soaks in within a minute or two without leaving a greasy film. Best of all it’s all natural stuff and isn’t tested on animals which for me is the most important thing. The only negative is that it’s a rather odd texture, it’s a bit like rubbing a blob of butter on your face, but if you warm it up a bit in your fingers first it goes on ok.
And if I’m not imagining it…it does seem to make my skin smooth, “plump” and the wrinkles less noticable. Result! Great item! This is a very nice cream, better than many branded (Dior, Estee Lauder, Vichy and others) that i’ve tried before. Excellent hydration, leaves your skin very soft, you have a “wet” feeling of your skin, so soft it is! Noticeable reduced wrinkles! And what is very important IS NATURAL! We’ve been on holidays and this was the only cream I had with me and my baby had an ugly diaper rush, I’ve used this cream as is natural and the rush disappeared by magic! So …many many ways to use it! LOL! ‘Really well nourishing cream, quite rich, but fine to use on the combination skin as it’s not too greasy. The texture is smooth, product sinks into the skin with a nice rose fragrance.